The MIUI v.6, just like before, offers Performance and Balanced power modes. The Performance mode allows the phone to use all processor cores, while the Balanced limits the CPU usage in order to save battery. Throughout our tests – call, video, browser and standby we used the Balanced mode, as any MIUI users will do most of the time. We tried switching to Performance and re-test the device, but we noticed just minor differences in the results. 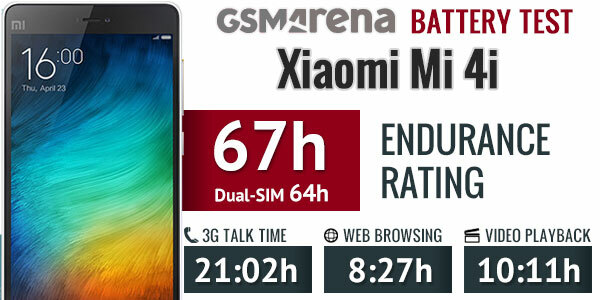 The Xiaomi Mi 4i did very impressive on the 3G talk time test, where it outed an admirable 21 hours endurance. The MIUI web browser has been improved and not it didn’t crash once during our battery test, plus we saw noticeable performance boost. Xiaomi Mi 4i lasted almost 8 and a half hours on our web script, far from impressive, but good nevertheless. Xiaomi Mi 4i offered very capable integrated video player and its playback endurance turned out equally good. The phone’s battery dropped down to 10% a few minutes after the 10 hour mark. 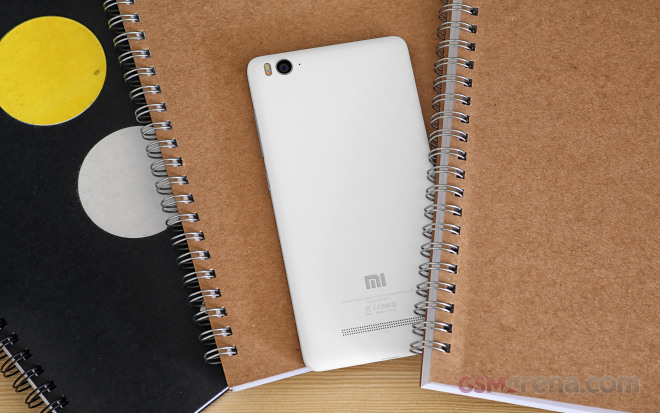 Finally, we’ve tested the single-SIM and dual-SIM stand-by performance of the Mi 4i. If using one SIM card, the Mi 4i ran out of juice in 9 days and few hours. When packed with two active SIM cards the Mi 4i’s battery went dead in 7 and a half days. So, in our battery test the Xiaomi Mi 4i scored a 64h rating, which means you can count on a little over two and a half days if you do an hour each of calling, browsing and video playback a day. Opting for using the device with just one SIM card active, you can squeeze a little more out of the battery. The single-SIM endurance rating is 67 hours. The battery testing procedure is described in detail in case you’re interested in the nitty-gritties.